Comments: Makes an excellent container plant for indoor use where light is fairly high. Used for screening. 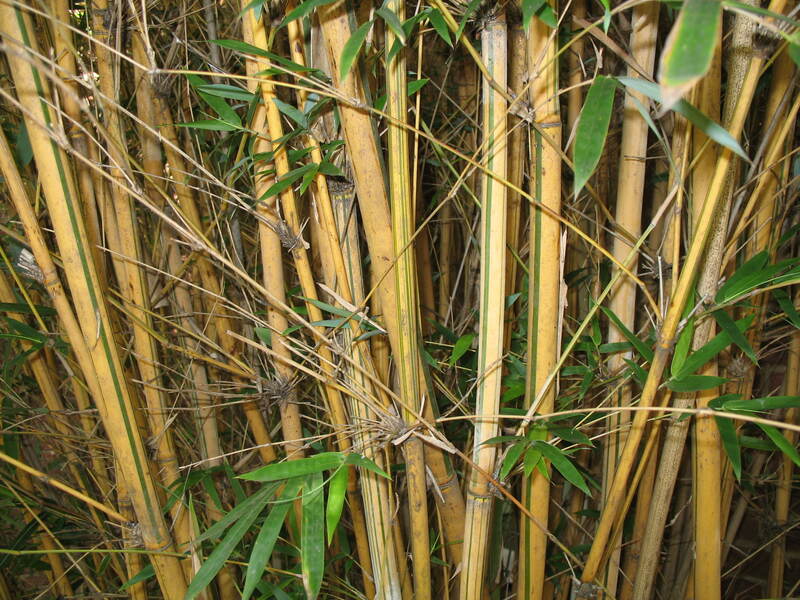 This is among the most popular of the bamboos because of the striking coloration on the culms (canes). Takes several years to really get a grove of bamboo well established; then growth and spread is relatively fast.